WHEN: Join us Wednesday May 4, 2016 at 8 AM for 15th Annual May is Bike Month Mall to Mall Ride! We will kick off Bike Month with a Bike Month Proclamation by elected officials promptly at 8AM. WHERE: Meet at the Transit Center next to Sears at Manchester Center before 8. Destination is the Mariposa Mall between O and P Streets. 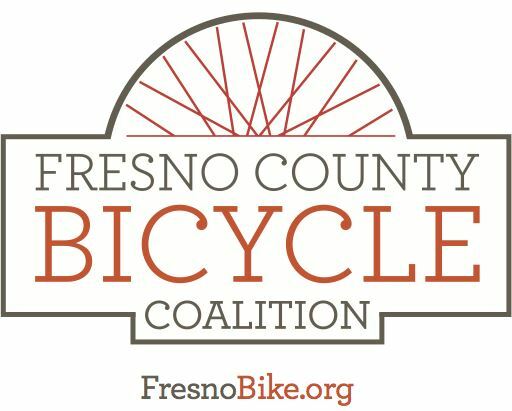 WHAT: The 15th Annual Bike Month Mall 2Mall Ride leaves about 8:15 for a relaxed cruise down Blackstone Ave and through downtown escorted by FRESNO'S FINEST: FRESNO POLICE DEPARTMENT'S BIKE PATROL UNIT. At the Mariposa Mall join us to celebrate Bike Month! Rove Wild Coffee will be serving great organic coffee, tea, and craft soda made with mineral water and fruit juice, healthy cereal and granola options, with fresh fruit toppings. Also, we will have the new Kern Street breakfast and lunch hot spot, Tree of Life, featuring their delicious banana nut mini-muffins with pecan crumbs, as well as some gluten-free butternut squash/banana mini-muffins. Yum! As usual, join our satellite group rides to Manchester from the Starbucks at Clovis Sierra Vista Mall (Shaw Ave at Cole Ave) will be led by FCBC Chair Ed Smith and will be leaving at 7 AM. Also leaving at 7 will be our group ride from the Starbucks at REI/River Park (Blackstone south of Nees) led by Celeste Martinez. Join one of these rides if you're riding to the start and meet other riders from your area! Please share this event with friends and co-workers!